While many of us can only dream of changing the world, InancBalci is already doing it. At 26, he co-founded South East Asia’s online retail tiger Lazada and now, at age 28, he sits as the Chief Executive Officer for Lazada Philippines. Balci, a Turkish raised in London, attended Purdue University in the U.S. with a double-degree in Industrial Engineering and Economics. Afterwhich, he worked on mergers and acquisitions for an investment bank in London. While working for the investment bank, Balcisaw the eminent potential in e-commerce which led him to join Rocket Internet and eventually co-found Lazada in Southeast Asia. In the Philippines, Balci heads a pool of more than 300 employees, all of which he works very closely with. With an unabashed outlook, agile wit, and a laser-sharp eye for details, Balci perfectly fits the bill to lead a rapidly-growing online company. In a country where shopping malls are practically part of the fabric of the society, online shopping is something quite a number of Filipinos are unaccustomed to – there comes the perennial trust issue on using credit cards, the surprise surcharges, and unfortunately, the products not arriving at all. The malls in the Philippines, on the otherhand, have creatively articulated themselves to be not just shopping destinations but also as a means of recreation (i.e. be it the cinemas, the gaming zones, the restaurants, or as simple as the airconditioning they offer as a break from the raging tropical weather outdoors) - all of these were the issues that Balci had to dispel – and dispel he and his co-founders did. Lazada has made shopping quick, effortless, and risk-free to South East Asia and in the Philippines, this is the same principle that Balci is harping on to the Filipinos. How is this so? First, Lazada accommodates all those shoppers without credit cards via its cash-on-delivery payment mode. This is essential given that not everyone has a credit card or is keen on sharing their credit card details to someone – or anyone for that matter. This makes online shopping risk-free for everyone. Being an archipelago of 7,100 islands, accessibility is always an issue – a significant portion of consumers doesn’t have time or access to visit the malls but with a minimum of PhP 1,000 purchase, Lazada offers free nationwide delivery, to customers anywhere in the Philippines, just log-in, shop, and the products will be delivered at the customer’s doorstep. Lastly, Lazada offers the flexibility of having the customers return the products within 30 days for free – provided that the products are in mint condition. In a span of two years of being in the Philippines, Balci has steered Lazada to further heights and now with more than 40,000 SKUs, reaching 90% of the online population of the Philippines, and ranking as the 4th top Facebook brand in the country with a direct audience close to 2 Million. What the dot-com bubble holds for Lazada is still yet to be revealed, but one thing is for certain, InancBalci, the 28 year-old co-founder and CEO, is definitely changing the way Filipinos buy. Most people like to have a unique look. They like to express their personal style through their clothing and accessories. They want their style to represent who they are, who their friends are and what they stand for. The ability to choose a unique style is something that helps a person stand out from the crowd. Many people realize that they will be judged by the first impression that they give to others. For this reason, they work hard to make sure that the first impression they present is their true self or what they truly want to be. Most people know that wearing a bandana is much more than wearing a simple covering over the head or on another part of the body. It is more than just a small piece of colored fabric. It actually is a representation of what an individual truly is or what they want to be. They realize that wearing a bandanna is a way for them to show more style and accessorize their already unique outfit. Most people who wear bandannas are interested in making sure that they look unique. This is true no matter if they are using it to wrap their head or if they are simply allowing it to hang out of their back pocket. There are lots of different bandanas that a person can buy in department stores, flea markets and online. However, all of these are basically the same style. A bandanna is obviously something that adds to the look of an individual. However, when a person wants to stand out from the crowd, they are going to wear custom bandanas. They will be able to choose from a large variety of colors. This will allow them to accessorize properly with their clothing and represent their favorite sports team, their country, or their group of friends. 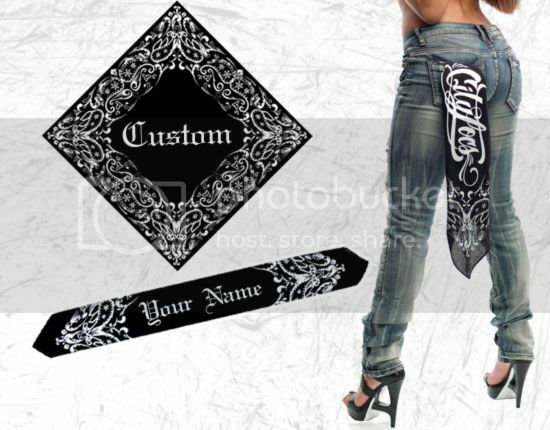 A person can choose to have their name written across their personalized bandanna. Even though bandanas play a large role in accessorizing the outfit of an individual who is interested in expressing their own unique style, there are other accessories that can help with this. For example, there is a lot of people who carry a flask. Instead of buying one in the exact same style that the vast majority of other individuals already owns, it would be better to buy custom flasks. While expressing your own individuality and uniqueness, you will never lose a flask that has your name on it. Could Your Business Benefit from Corporate Hospitality? Most of us have heard of corporate hospitality but you may be unaware of the huge range of advantages it has to offer. This article reveals more about corporate events and enables you to make the most of this opportunity for your business. If you have never considered corporate hospitality days or events for your business before, you could be missing a trick. There are lots of opportunities to indulge in this area to enhance your business, as well as your relationships with your employees and your clients. There are many different corporate events that you can treat clients to, mostly based around sport. Football is a sport that naturally lends itself well to the hiring of corporate boxes that come with food and drink thrown in (most Premier League and a number of Championship clubs have the stadium facilities to offer this type of experience to those willing to pay for it), and horse racing is not far behind – the likes of Aintree, Epsom and Cheltenham all have corporate packages and facilities available for visitors to sign up for as a way of making their day out extra special. The one tripping point many business owners see is the fact that they have to pay to enjoy corporate hospitality. Cheltenham racecourse, Wimbledon tennis and all manner of football venues – these all provide great choices when it comes to hospitality, but they all cost money. However if this is how you are looking at the situation you should look to the long term instead. The key focus when you are looking at investing in this area is to look at the long term picture instead of the short term one. You’ll notice I used the word ‘investing’ there as well. It’s well worth making sure you have the ability to change your mindset if you see every penny you spend as an expense. When it comes to corporate hospitality Cheltenham based or anywhere else, you are investing in the future relationships. These will help to provide more income for your business, which isn’t a bad thing. You can take your day at Cheltenham to the next level by adding transport to the racecourse via its vintage steam-powered train to your package. While you can drive to the venue, the traffic around the area on race days can be extremely busy and delay your arrival – when you’re paying more than you normally would for the experience, you don’t want to waste a minute! Instead, why not park at Toddington station, enjoy the live band on the platform and cruise to the racecourse on a beautifully restored train with a buffet and bar to keep you and your party suitably refreshed? The journey takes about thirty minutes at a leisurely pace through some of the most attractive countryside that Britain has to offer. Many business owners tend to add corporate hospitality events to their regular annual marketing expenditure because they work. If they do it regularly it must mean they are getting results – otherwise why spend the money? Keep this in mind when you are considering booking such an event for your target audience in order to get the results you want to. April 21, 2014 - The magical land of Ooo has found its way to Manila as Ayala Malls brings Adventure Time characters for an exciting journey filled with awesome games and surprises this April to July. Cartoon Network’s unstoppable hit, loved by kids around the world reaching 131 million global viewers, is brought to life with the Adventure Time Live on Stage that takes viewers on a trip to Finn’s candy-tinted world. Adventure Time takes place in the Land of Ooo, a post-apocalyptic wasteland filled with magical creatures where series heroes Finn the Human and Jake the Dog, battle against a pastiche of geekish villains. Join Fann, a mad Adventure Time fan, as he attempts to write a totes radical Adventure Time fan fiction story that will turn into a real life adventure, where Finn and Jake are sucked through a wormhole between the Land of Ooo and Fann’s bedroom closet. Get ready to groove, bust a tune and sing your heart out at the Royal Karaoke as you help them accomplish their mission: rescue Fann and his friends in the audience by helping them to come up with a story that doesn’t sting. 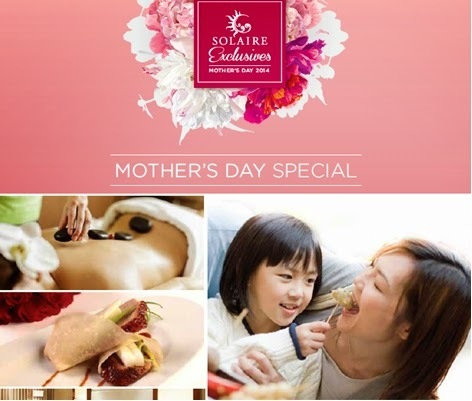 Have a one great Adventure Time with your kids and head down to the Ayala Malls this season! It has been a trend worldwide that development interventions should be “green-to-blue economy” or otherwise known as the “ridge-to-reef approach”. This means that governments should not just focus on reforestation alone, or agricultural development alone, but the entire biodiversity, which should encompass both terrestrial and aquatic ecosystems. Since there have been heaps of forestry and agriculture programs in the past, development funding at present are focused on integrated coastal resource management, marine protected area development and management, reef management and the like. In line with this, eco-tourism has been promoted in resource-rich countries like Australia, the Philippines, Saint Lucia, Papua New Guinea, New Zealand, Japan, the US, Brazil, Canada, Belize and Dubai. This is to boost awareness on the significance of maintaining ecological integrity. Among the most visited tourism sites are reefs like the Great Barrier Reef in Australia, the Red Sea Coral Reef near Egypt, the Belize Barrier Reef and Florida Reef in the Atlantic Ocean. Although some scientists claim that scuba diving on these areas threatens coral reefs, we can’t really ward off people who would love to see these unique and wonderful marine creatures. Besides, I don’t think scuba diving is really that destructive. I believe divers are responsible enough as they can’t dive without license and I assume they know where to delve into. Personally, I would like to experience sky diving over the Atlantic Ocean to see the Gulf, the Florida Reef, and the Florida Keys. I would then go snorkeling over the reef and take another encounter with dolphins. I wonder what tourists should bring when spending holidays in Florida Keys? Certainly, if traveling from overseas, passport; otherwise one would be stranded at the immigration office; then probably a DSLR and underwater cameras to capture under- and over-water sceneries. There are definitely grocery and drug stores to purchase what one may need, but it could be a lot cheaper to buy outside tourism sites items like sunscreen lotion, soap and shampoo. For sure bathing suits, comfortable flats, floppyhat, sunnies, snorkel and goggles are equally important. I think it is better to have a pair of reef sandy flip flops to enjoy a relaxing walk on coastlines. Some girl's sandals may be comfy on the streets but not as cozy on the sand. Going back to Eco-tourism, I think the best way to maintain ecological integrity is to bring more people to natural environments like the reefs. The consciousness about preservation and conservation should spark from every individual. When people see the beauty of these natural environments, the more they see the need to preserve and conserve it. It would be beneficial, therefore, for governments to provide incentives to eco-tourism establishments who are offering cheap tour packages with environmental awareness building.